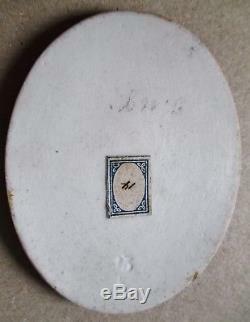 Miniature painting on porcelain plate can be from kpm königliche porzellan manufaktur of late nineteenth berlin. Very nice porcelain plate, representing limmaculée design. 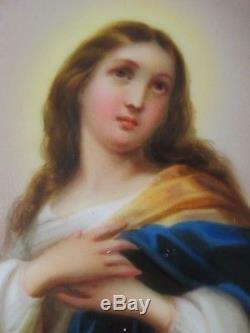 The virgin appears dressed in white and blue, her hands crossed on her chest, walking on the moon, her gaze lifted to the sky in a divine space bathed in light. 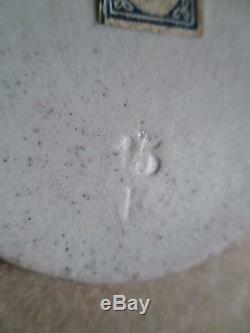 The porcelain plate has a number and a hollow symbol and paper label, see photos. 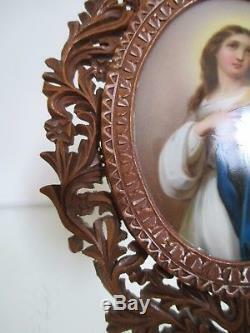 It is in a boxwood frame finely carved decor foliage. 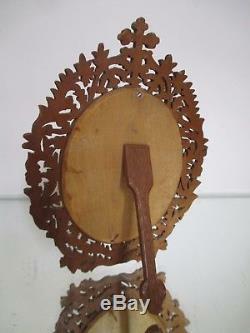 State: the plate is in perfect condition, small gaps on the carved wooden frame. 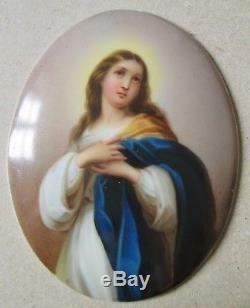 Dimensions: plate approximately: 9 cm x 7 cm. 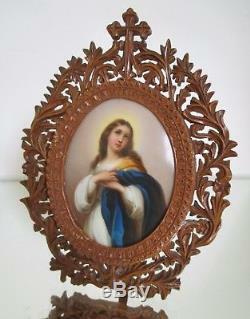 Frame size approx: 15 cm x 11 cm. 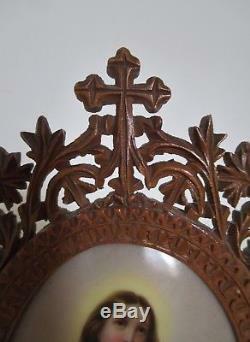 The Nancy Antiques Company "The House of Antiquities" thanks you for your visit. The largest private showroom in Nancy, tel 0687120856. The photos below serve as a complementary description, thank you, luc. 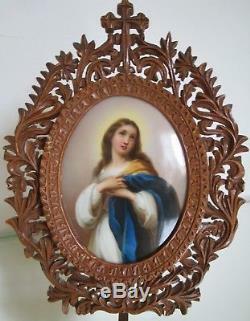 The item "painting miniature painting on virgin porcelain nineteenth frame carved wood" is on sale since Sunday, November 5, 2017. 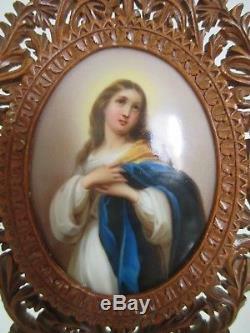 It is in the category "art, antiquities \ art of the nineteenth and before \ paintings , enamels ". 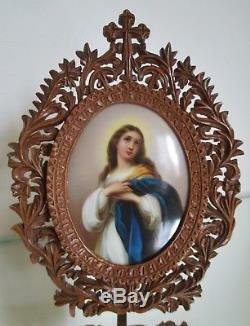 The seller is "la-maisonauxantiquites" and is located in / in nancy. This item can be shipped to the following country: europe.